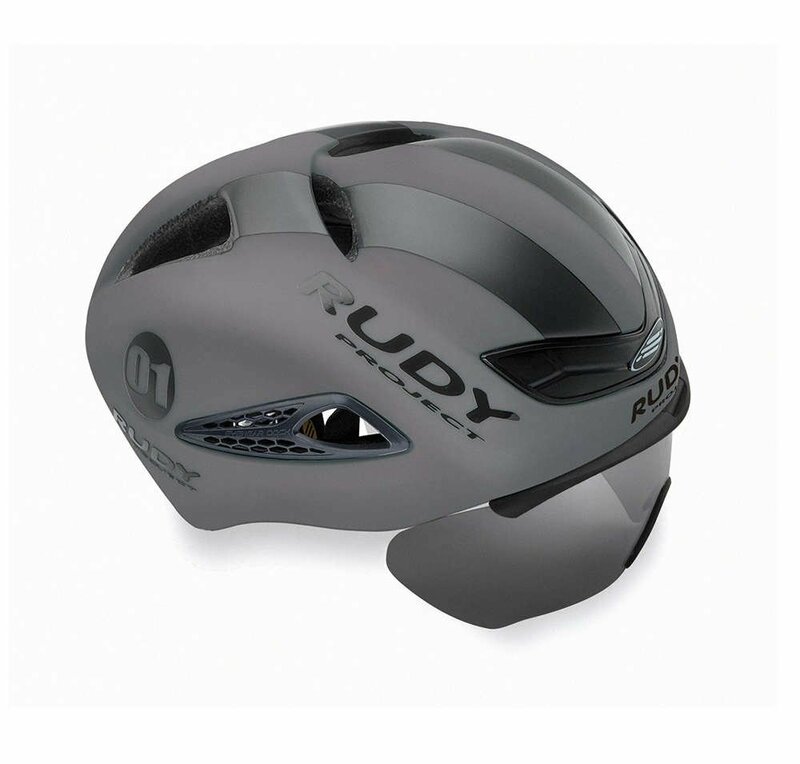 Rudy Project helmets are world-renowned for their legendary fit, the result of studies into ergonomics, design and material innovation and advanced manufacturing techniques. The retention system is constantly updated to improve comfort and performance. The new RSR 9 system enhances your fitting. 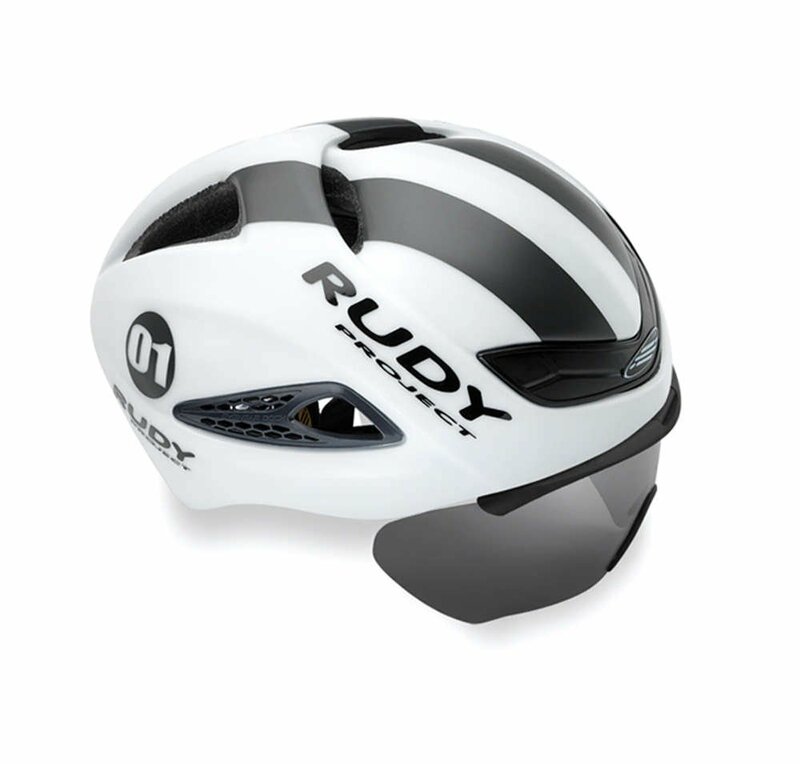 The structure is more wrap-around while precise micro-metric regulation and height adjustment provide a perfect personal fit. 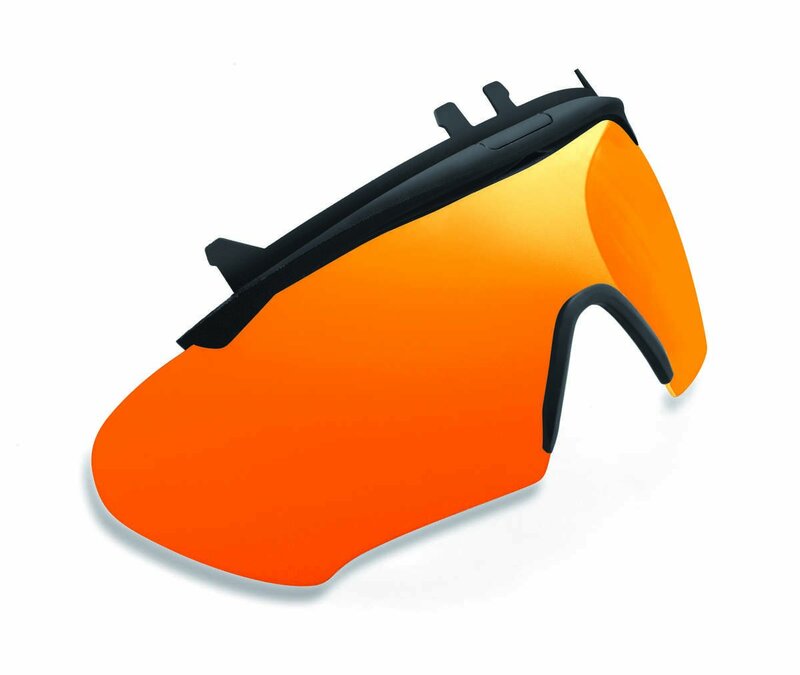 The fully integrated and removable optical shield will ensure maximized protection and enhanced aerodynamics while eliminating annoying glare and eye fatigue. 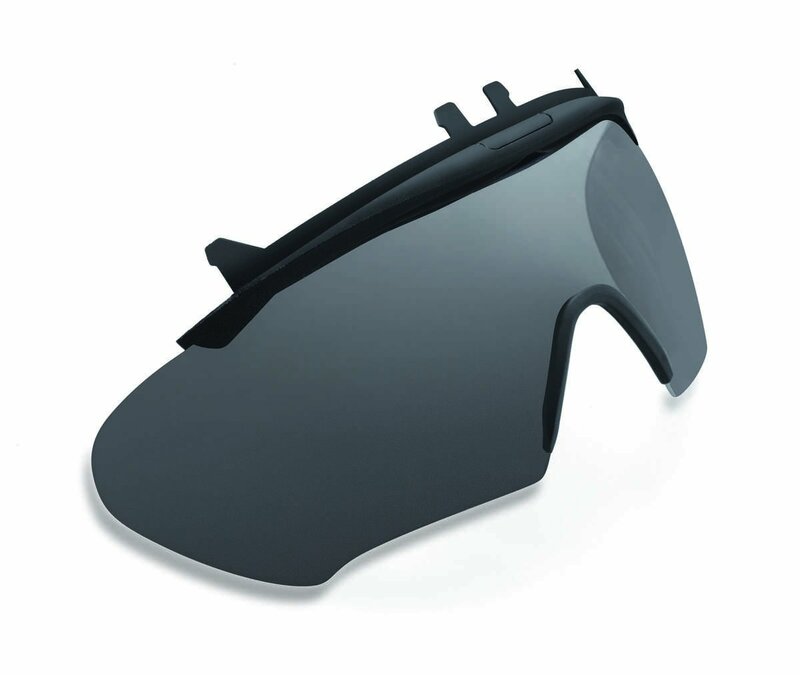 Building on RP Optics™ advanced polycarbonate technology, the Wing57 visor combines cutting-edge coatings and superior optical protection against harmful UV rays. The new Boost 01 is a true aerodynamic beauty, boasting unique and powerfully functional design. Extremely well vented. 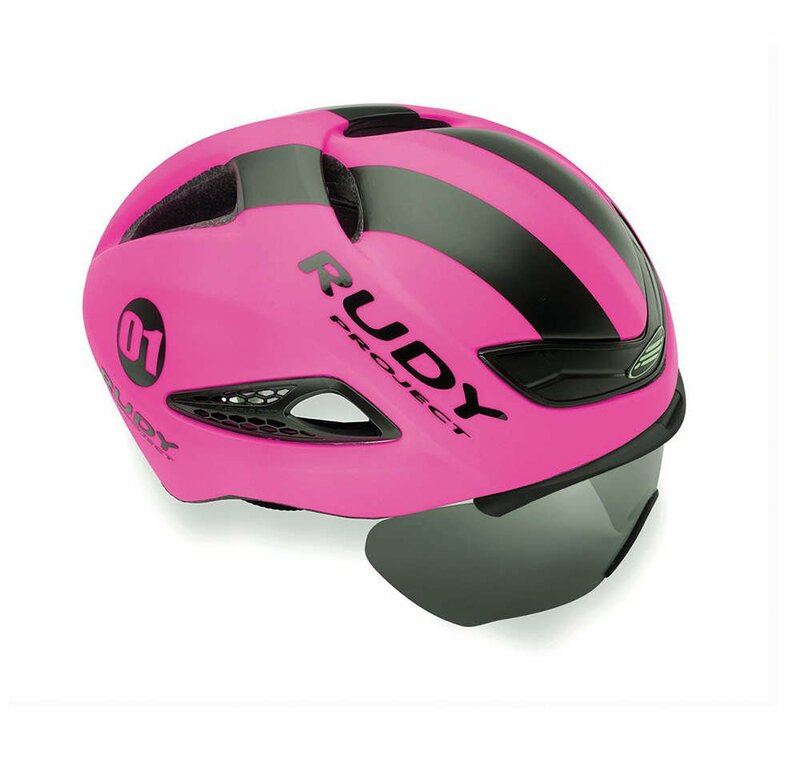 it incorporates many technological advances to lower aero drag by 12% compared to traditional road helmets, relocating the center of pressure point and reducing neck torque by 65%. 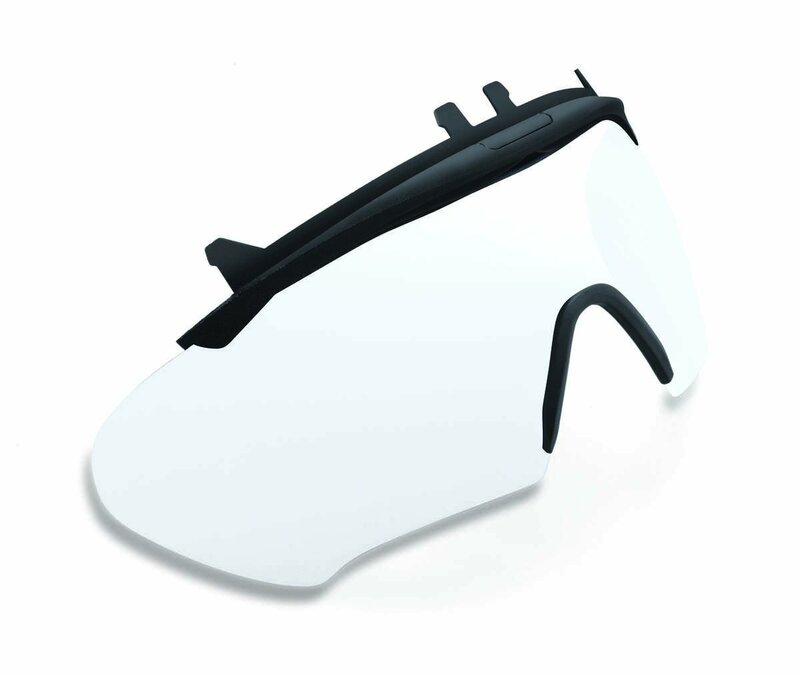 The Boost 01 offers a unique and removable shield interface for full wraparound visual protection, enhanced flow dynamics and atmospheric management minimizing eyestrain. 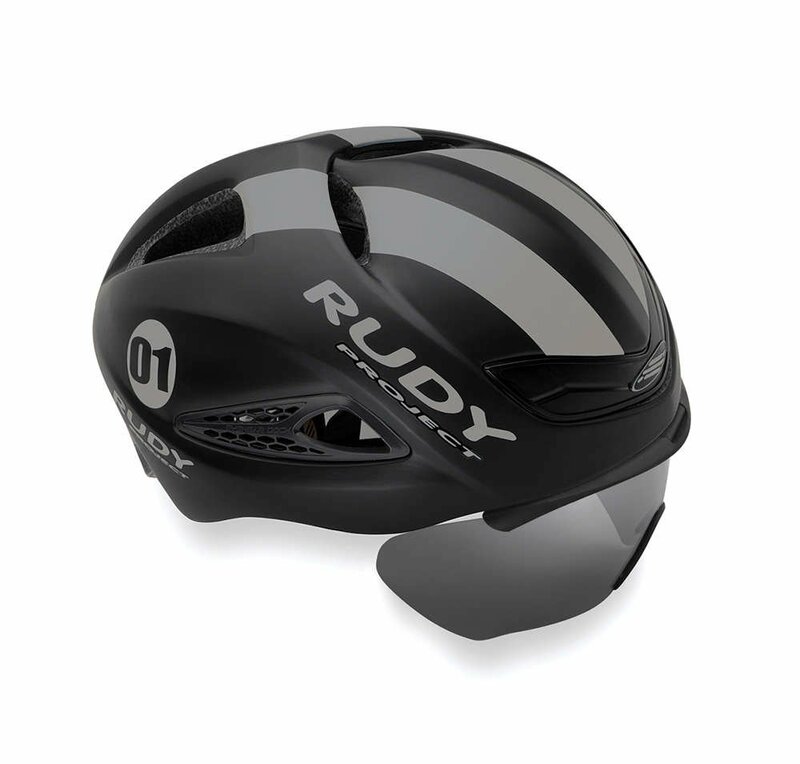 Using part of the patented Vortex Killer System, there are new specific high radius lower edges along the bottom of the helmet. This links to the rear section which has new side scoops with specific NACA duct shaping, the Boost 01 is able to pull air around riders neck and off the shoulders for improved aerodynamics. The redefined dorsal ridge continues to help to convert sideways forces into a forward force. Thanks to the new lower and forward profile, it makes the Boost 01 the most versatile in relation to the ever changing wind direction while almost elimination the uncomfortable directional torque effect on the riders neck. 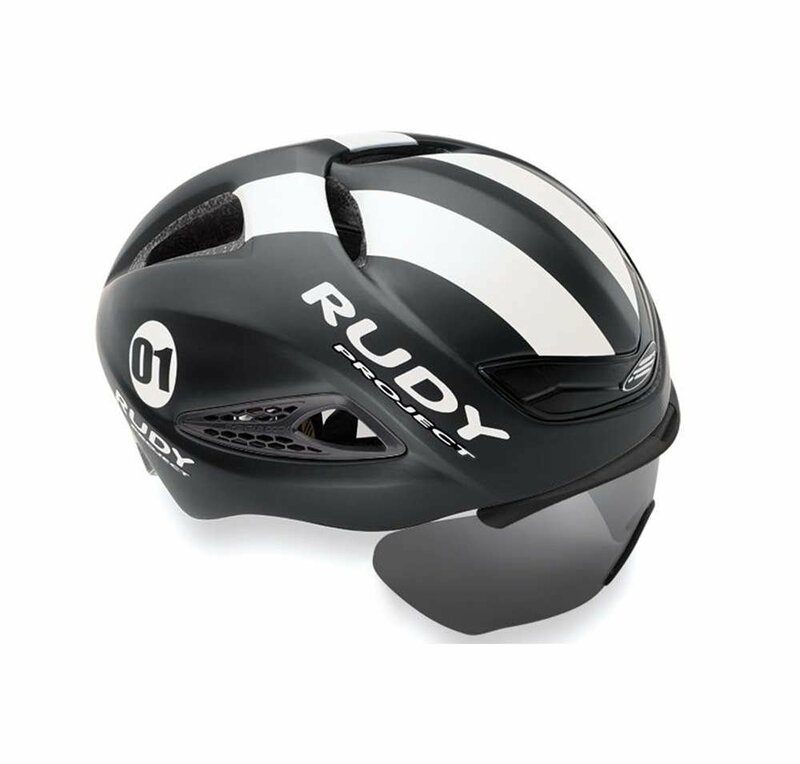 New internal air channels and the all new top vent help guide the air and further accelerate the air flow out of the rear of the helmet. This gives a large increase in aiding heat transfer from the riders scalp, one of the major cooling zones of the human body. The directional torque is the natural reaction of a wing shape to self-align with the outside wind forces and it is the main cause of discomfort on riders neck especially over long distance races. 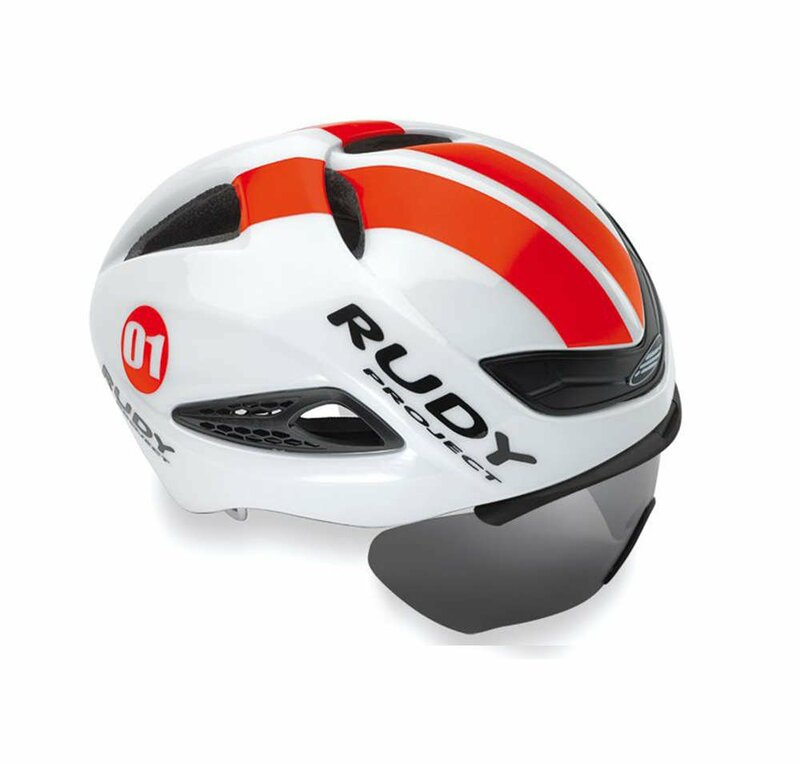 The boost 01 offers more than 12% aero drag reduction compared to a traditional road helmet along with a 65% reduction in neck torque.